Send applications to Policy and Strategy, Westminster City Council, 15th Floor, Westminster City Hall, 64 Victoria Street, London SW1E 6QP​. Once received, we'll publish the application online and in other appropriate ways, to give people who live, work and carry out business in the application area at least 6 weeks to comment. After this consultation period, we’ll then consider the application before designation. For more information on the process for making this application, please contact neighbourhoodplanning@westminster.gov.uk. 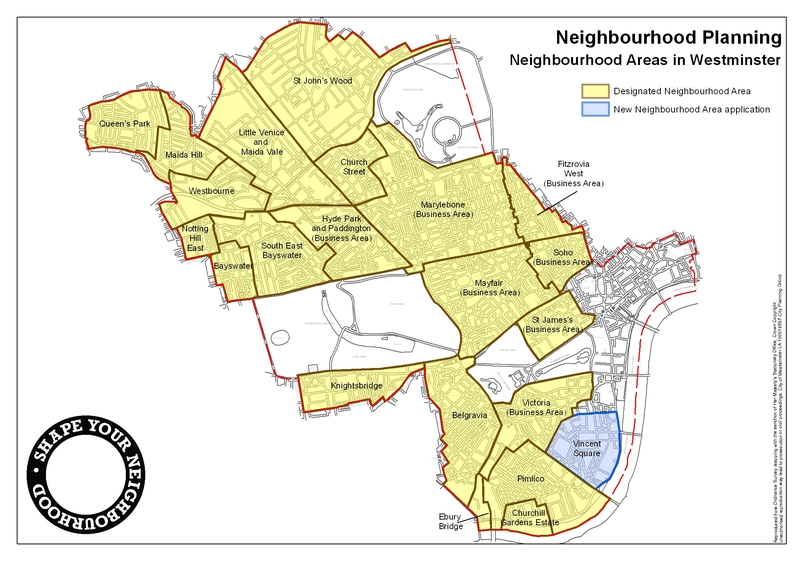 Find out how to set up a neighbourhood forum. To undertake neighbourhood planning in Westminster, communities must first apply to the council to formally designate the area that reflects the geographic extent of the neighbourhood. You can view all applications and designation notices below.